Well, here we are in August, and here is my raised garden as seen from the back. Not quite as much of a jungle as last year, which is both good and bad. The tomatoes are smaller both in plant and fruit and the squashes too. But, things are easier to pick because they are not so jammed together. Small consolation though for less bounty. My cucumbers, seen in the front of the picture are barely doing anything. I think they don't get enough light with only the afternoon sun. I thought I had a pretty nifty way to squeeze more tomatoes and also cucumbers in to a small space. Oh well, back to the drawing board with that one. The yellow crookneck squash on the far right is doing a bit better, but not as well as I'd hoped. I thought it would get nice and big since I was giving it so much room (not my normal instinct in the garden), but so far it's kinda puny compared to the first year I grew it. That sucker was huge! Leaves the size of elephant's ears I tell you and not the garden variety - the mammalian. You just never know what your garden will do from one year to the next. I guess that's part of the fun, but also part of the frustration. I'm certainly grateful for all that we have eaten and picked from the garden, but I can't help being disappointed as well, because I put so much into certain parts of it - namely the tomatoes - and they are just seeming kinda lazy this year. I have 26 plants - yup two six - and so far barely any actual fruits of my labor. Plus now it's August, and August in MN is when you truly can see just how much yield you're gonna get. You can see the end even though the tomato cannot. 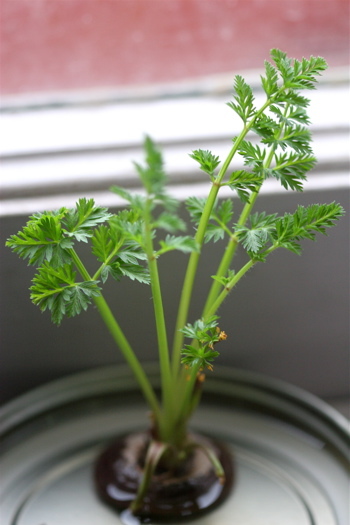 Consequently, it's also a good time to prune those new suckers and tiny buds that will never make it to tomatohood. I'm not sure if it truly helps with the remaining fruit, but it makes sense it would. Here's the messy side jungle, and more tomatoes. The plants here are the healthiest, but some are not producing very much anyway. I have one plant over here with only ONE tomato on it. Yeah, I'm kinda pissed at that one. I think it's the Bulls Heart, and I was really looking forward to that one. I guess I'll really have to savor it. This year, I'm realizing how much I still have to learn about gardening, but especially growing tomatoes. For instance, I don't know why mine always get yellowish leaves, or why sometimes they curl. I've read the curling is caused by aphids - but I don't really see the evidence for it. Some plants have brown spots on the leaf edges, and others the blossoms are turning yellow on the stem and eventually shriveling and falling off. I think I need a good tomato book. Any recommendations? Well, that's enough complaining for today! Any one else got garden frustrations they'd like to vent? Blast away! When I went out to check out the garden in the balmy 60+ temps on saturday, I found this little guy. Every year I get a few pansies that reseed in the garden, but this one seems to have actually survived the winter, which is crazy because we had some pretty cold temps. I guess having snow cover really does insulate. I brought it in 'cause I figured it would be easier to enjoy inside this time of year. Then, sure enough, just when I had my pea seeds all nice and soaked and ready to plant - it rained all day sunday! The tulips are coming up in a few spots, daffodils, and crocus too. It happens every year, but it's always so amazing when the snow melts - and there they are already coming up. This is why I love spring. It's full of surprises, which are fun, even if you expect them. What's popping in your neck of the woods? This is the first and only zucchini I have picked so far this year. I am very disappointed! I know I planted pretty late, but I don't think that's the cause of my squashy woes. 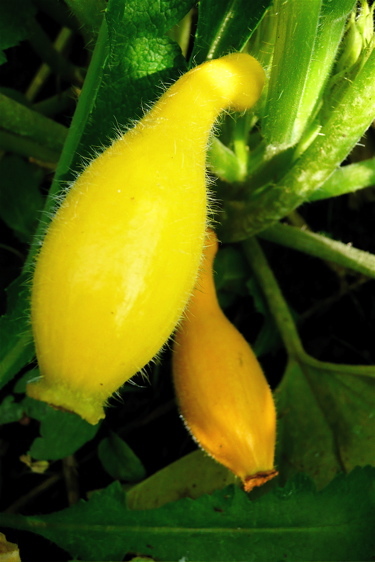 Most of my zucchini are turning yellow and shriveling when they get about two inches long. Their flowers aren't even open yet when it happens. Anyone else having this problem? The only thing I can blame it on so far is the weather. It was really hot and dry for weeks and now we are getting tons of rain and it's cooled way off. I watered every day though when it wasn't raining, and the plants look good. Everyone always says they are swimming in zucchini by now, what gives? I sure hope to be bathing in it soon myself. Here's the raised garden as of yesterday (8.6.07) It's a little hard to see, but those are tomatoes on the right and along the back. Beans are in the center, carrots on the left. On the far left in back are 3 of the Romanesco plants - still no sign of a floret or whatever it's called on any of them. Someone told me they took forever, I guess they weren't kidding. Hidden in various spots are some beets, leeks, and scallions.There's some peppers on the right and left hand side, and finally, a bunch of dill sprinkled throughout. btw, that's our garage in the background, not our house! So, how do the rest of you out there find time to both blog (or do anything else) and garden this time of year? I'm having a really hard time with that, as you can tell...those of you that are left that is. We are heading into what I like to call; the best time of the summer however. It's that time of the season when all the deliberating, procrastinating and planting has been done. All that is left now is the feeding, weeding and - hurray! - harvesting. I've nearly finished now with planting everything - yes, I know, a bit behind - but then when am I not? I have most of the large raised garden all set, providing all the beans I just planted come up, and only have a few more spots to fill. If it weren't for all that danged volunteer dill I've got all over the place, I'd have a few more holes. I would just rip it out, but I keep thinking I might need it. Perhaps a manic pickle making phase may strike? Never mind the cucumbers are barely in the ground. So, How do you all do it, and what do you have left to do? What's your favorite time of the gardening season?